Tickets for Festiva Cruise New Years Eve 2020 are currently not on sale. The hands of the clock almost seem frozen in time as the final 10 seconds remain of 2017. The excitement builds and the tension rises as eager eyes look up at the sky, waiting for the first flash of light. Just as the minute hand strikes midnight, the first round of fireworks flare up into the night! 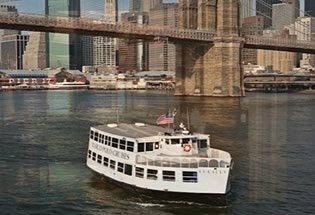 Painting a vibrant streak over the NYC skyline as the colors burst, enjoy the fireworks and ring in the new year with the New Year's Eve Family Fireworks Cruise Aboard the Festiva Yacht. 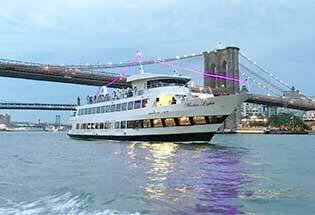 This all ages Family Fireworks Cruise, features a full dinner buffet and a live DJ sure to please the entire family. For the adults on board, celebrate with a Champagne toast at midnight and an open bar all night long. When the clock strikes 12 this NYE, there’s no better place to be than the New Year's Eve Family Fireworks Cruise Aboard the Festiva Yacht. 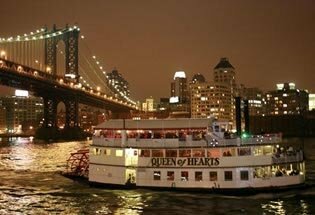 Get ready for it folks, because the New Year's Eve Gala aboard the Harbor Lights Yacht is coming your way.